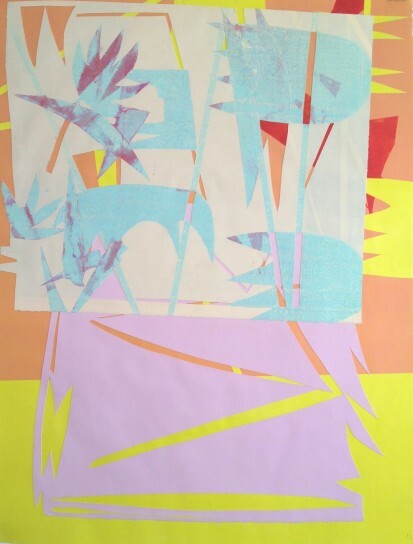 Using monotype color flats and hand-hewn stencil shapes, Brooklyn-based artist Margaux Ogden approached her first project with Aurobora as an opportunity to deconstruct her painting practice and to examine the compositional structure, palette, and traditional forms within a new medium. 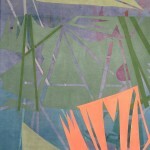 Through experimentation, Ogden was able to fuzz the borderline between incidental and intentional mark-making. 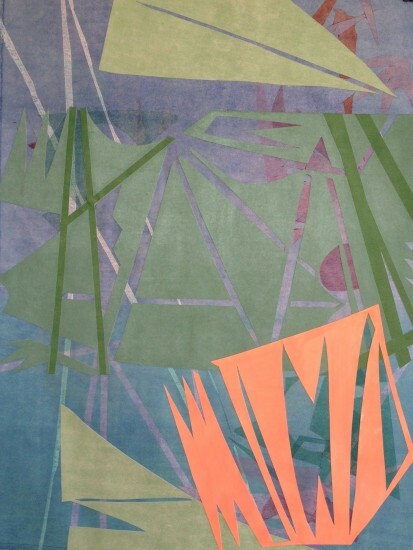 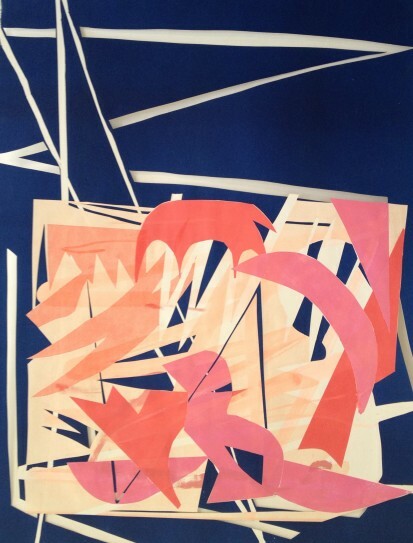 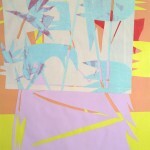 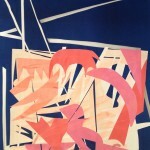 Ogden treated each of these compositions without formal, rigid parameters and instead allowed herself to embrace the unexpected moments that sprang from each run of the printing press—stencil shapes substituted for rendering a subject, strips of tape and razor-blade cut-outs dictated spatial breakdowns of the compositional plane, layering color on top of color determined a final palette. 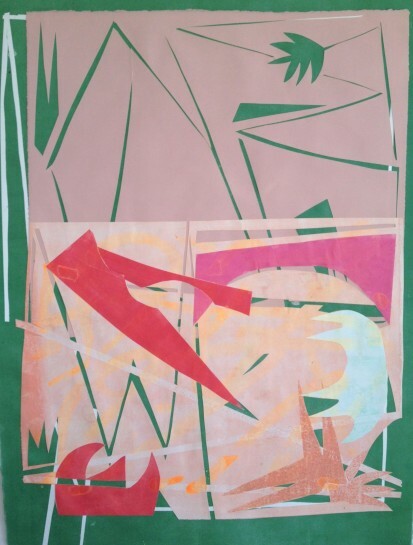 Over the course of her studio time at Aurobora, the artist searched for that provisional moment where the unfinished, unpredictable quality of her paintings could step out into the foreground in these works on paper. 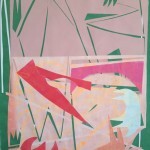 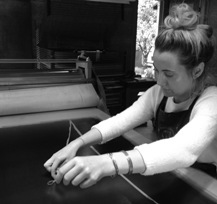 It is as though Ogden’s hand-worked monotypes and her paintings on raw canvas carry on a reflective conversation, as if each seized the opportunity to connect with the interior impulse of the other, to access a different elemental beauty, to achieve a communion.